A minimalist design for this small circular speaker which gives off a 360° sound. We love its sophisticated design with its golden pink mesh and its elegant natural leather strap. 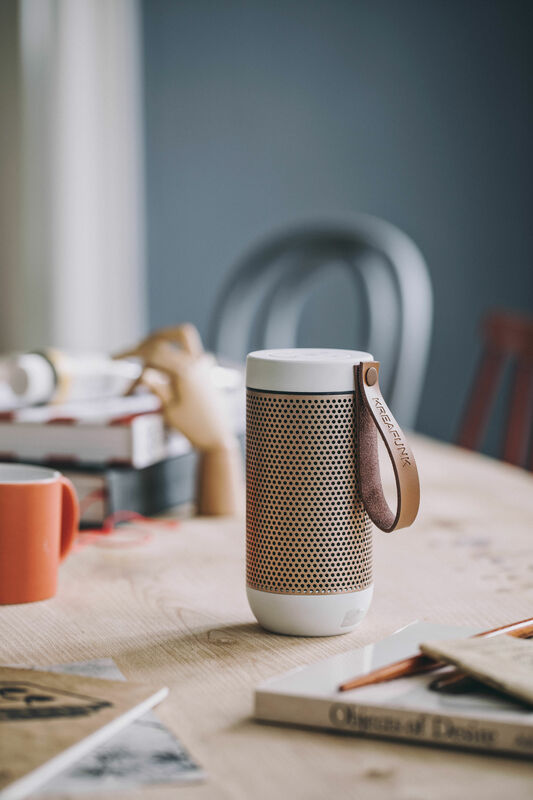 Light and compact, this wireless speaker follows you everywhere. 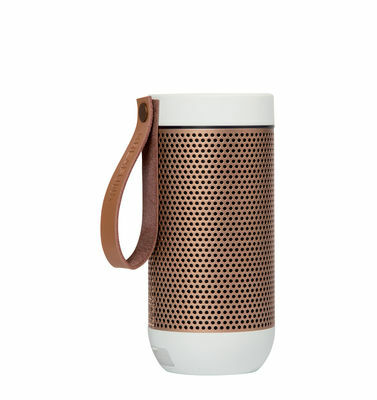 It lets you listen to your music wherever you want: in the kitchen, the bathroom, the garden, etc. 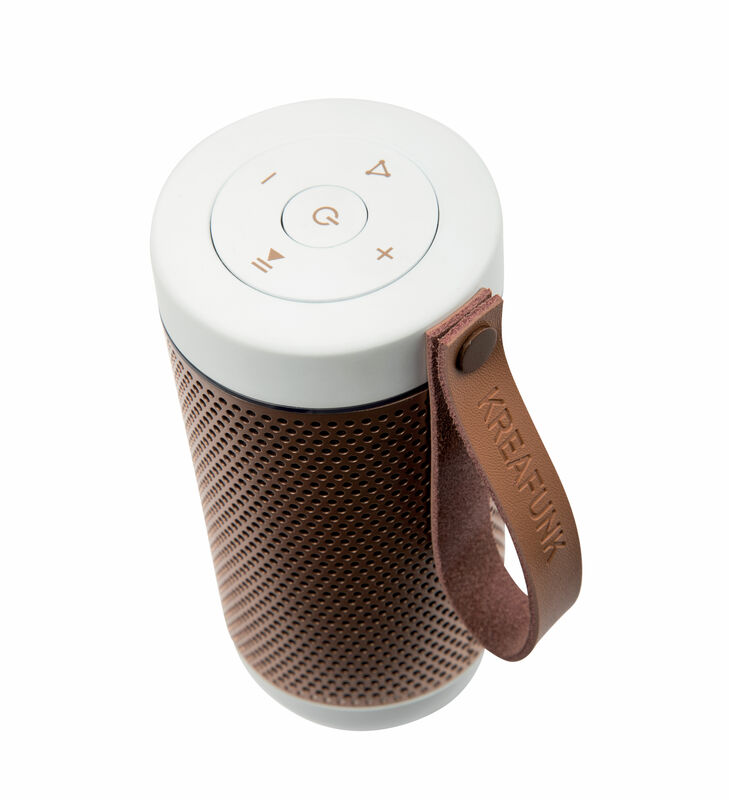 Thanks to its Bluetooth 4.2 (range: 10 metres) receiver, this wireless speaker lets you listen to your music from any smartphone, computer or mobile device. It offers a 20-hour battery life. 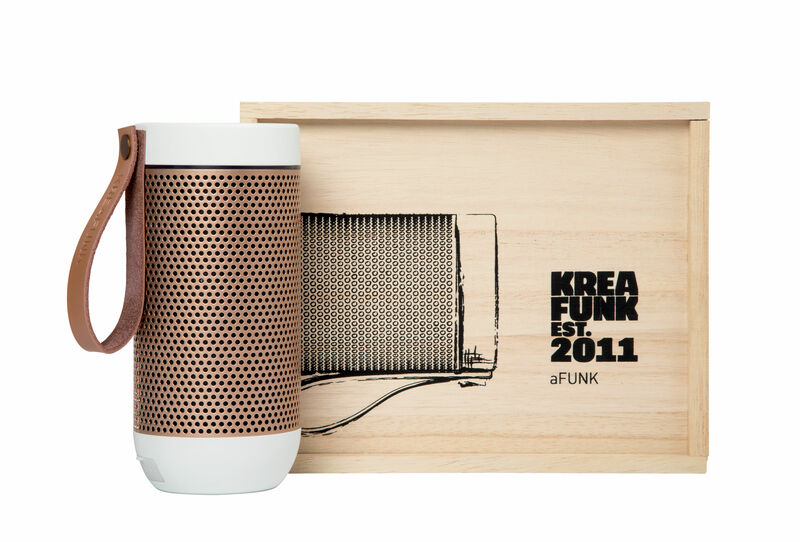 If you get a call on your mobile, you can even answer and communicate easily thanks to the microphone built into the aFunk speaker. It comes in a wonderful wooden box.